Zinfandel is a wonderful grape variety, that is pretty hard to pin down – in many different ways. What it actually is and where it comes from has taken a very long time to get straight. The grape is often regarded as America’s own grape, but if any vine can make that claim it is actually the wayward Norton. 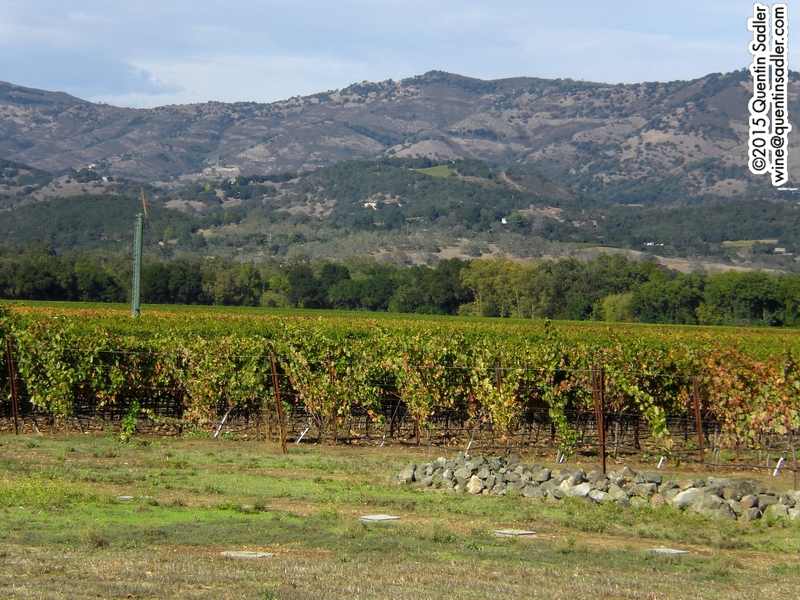 Of course Zinfandel made its reputation in California, but it was a long time coming. For much of its time there Zinfandel has been regarded as a very inferior grape indeed and it has only been in the last 20 years or so that it has received the attention that it deserves. Zinfandel vines in the Napa Valley. 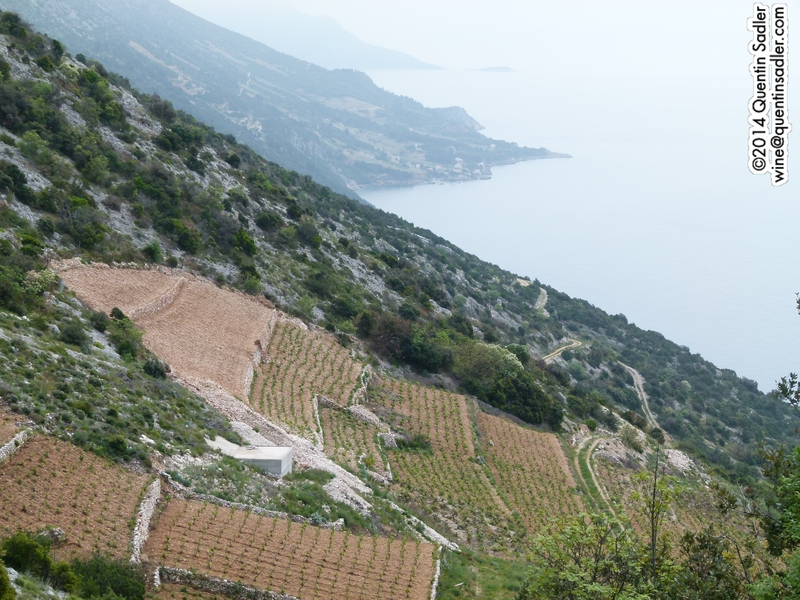 Plavac Mali vines in the amazing Dingac vineyards on the Pelješac Peninsula near Dubrovnik in Croatia. Ok, so the roots of Zinfandel are sorted, but then we have the the worry as to exactly what sort of wine Zinfandel makes. 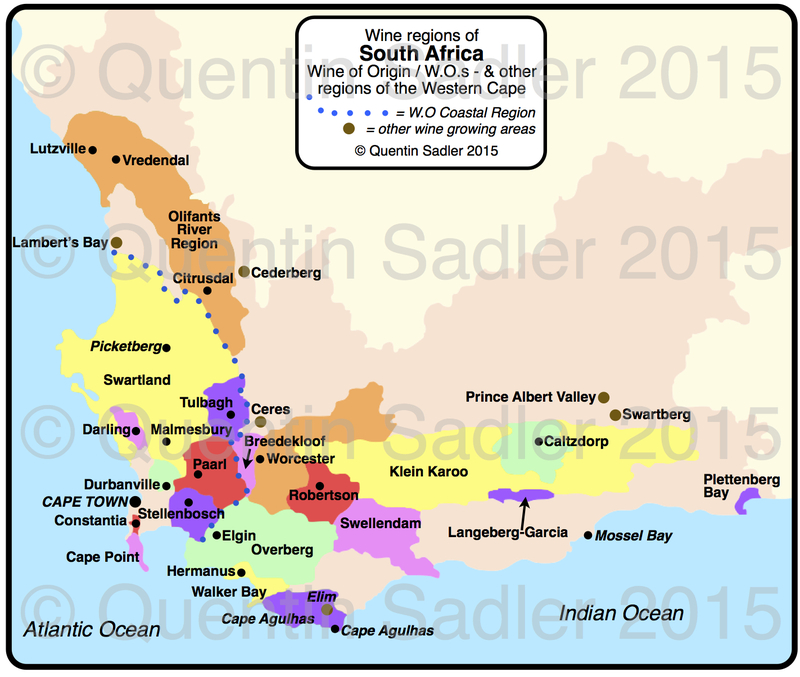 Many UK consumers assume that Zinfandel primarily makes sweetish rosé, white Zinfandel, but most of the books and wine courses tell us that it makes high alcohol (15% and more), rich, dry, spicy red wines with rich dried fruit – prune and raisin – characters. 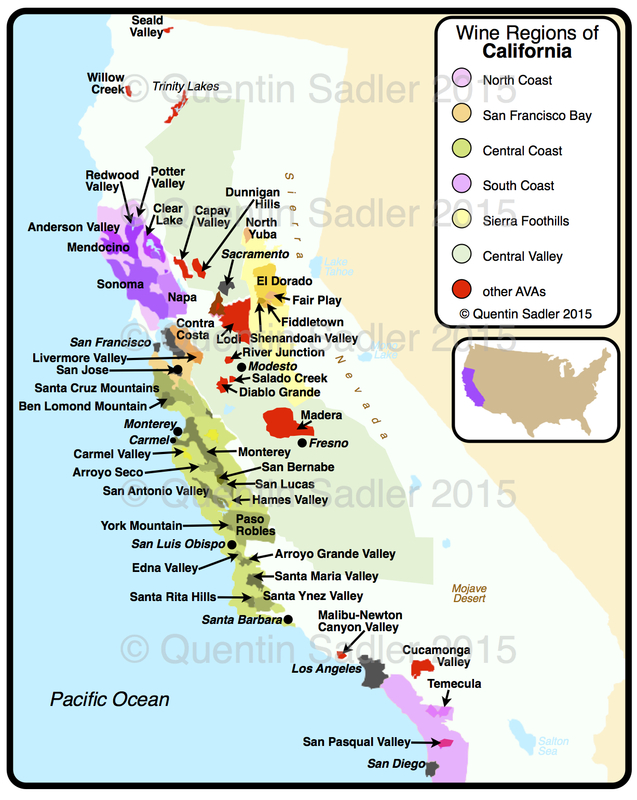 That can certainly be true of the old vine Zinfandels that are produced in the hot Central Valley areas of Amador and Lodi, but there is another, totally different style of Zinfandel in California too. This style comes from cooler production areas nearer the coast and is more elegant – by which I mean less powerful, less of a blunt instrument, instead it has delicate fruit characters, normally red – raspberry in fact – together with some freshness too. I recently tasted a delicious example, that is very good value for money, so I made it my Wine of the Week. 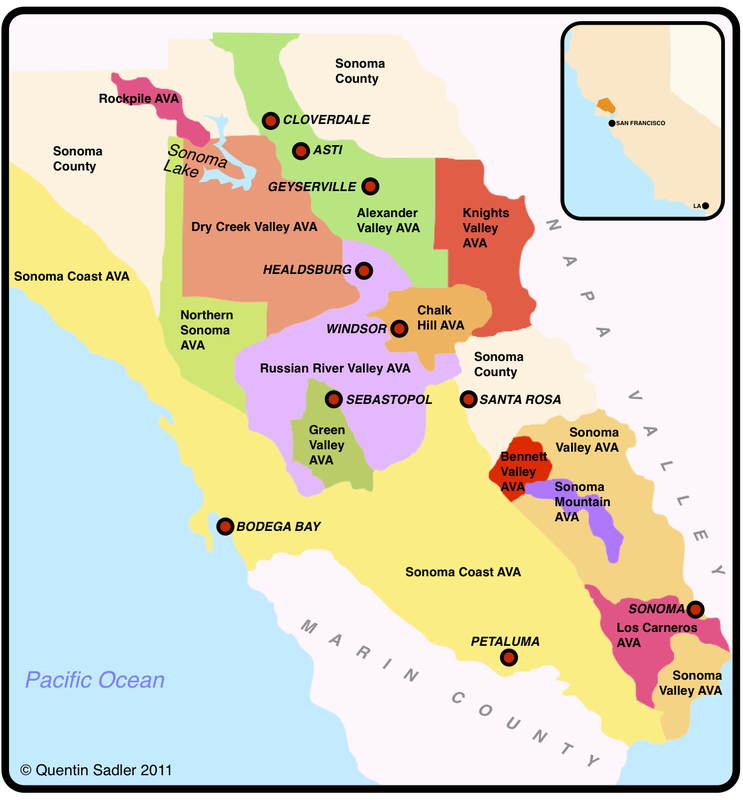 The wine regions of Sonoma – click map for a larger view. 100% Zinfandel aged for a few months in American and Hungarian oak barrels. The grapes mainly come from De Loach’s own organic and biodynamically farmed vineyards, with some fruit from other, warmer areas of California. Sonoma’s Russian River Valley has a long slow even growing season that seems to coax real elegance out of Zinfandel, making the wines quite different from the usual take on the grape. The alcohol is a modest 13.5%. The colour is a lovely deep, but bright ruby red, while the nose is scented and lifted, offering rich, intense raspberry together with black pepper, smoke and vanilla. The palate is medium-bodied, but is richly textured with rounded ripe fruit filling the mouth with flavour. Those flavours are raspberry and cracked pepper spice together with some cherry and blackberry too. While this is not the most complex Zinfandel in the world, the tannins are soft and velvety and while the fruit dominates from start to finish, making the wine juicy and soft, there is a lovely seam of freshness in the wine, that makes it deliciously drinkable too – 87/100 points. Available in the UK for around £11 a bottle from Eclectic Tastes and Exel Wines, further stockist information is available from the UK distributor, Liberty Wines. If your experience of Zinfandel makes you think they are all huge monsters with high alcohol, this gives a totally different take on the grape and is superb value for money too. A very food friendly wine, this is perfect with almost anything, from burgers, pastas and pizzas, to Sunday roasts and finer fare. I love Port, as well as the unfortified wines of Portugal’s Douro region (do try this one here), and given how reluctant winter is to leave us this year, in the UK anyway, I thought this delicious Port that I discovered recently would be a lovely, warming Wine of the Week. Port has long been dominated by the big brands, many of them still with British names, such as Grahams, Dows, Cockburns, Taylors etc., but that has been changing ever since 1986. 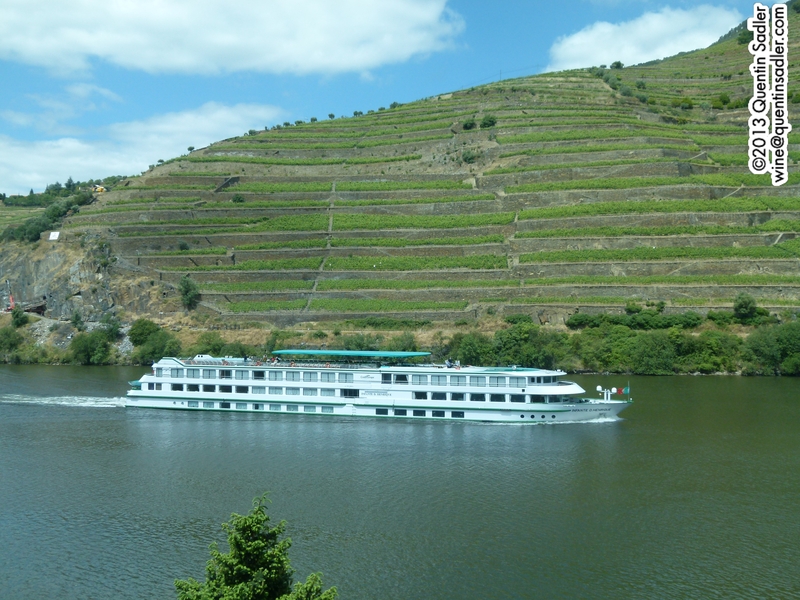 Until that year, Port had to be taken from the vineyards in the Upper Douro Valley to the Port Lodges in Vila Nova de Gaia, near Porto, where the big Port houses are based. It was these companies who aged and shipped the wine rather than the grape growers. 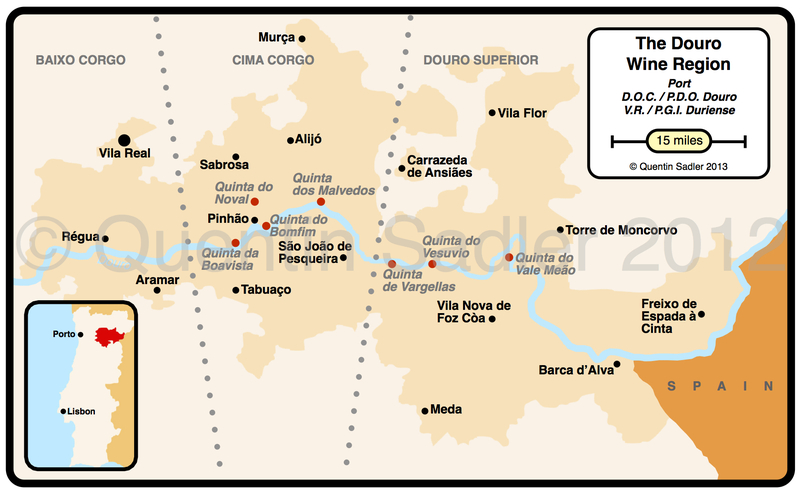 After 1986 though, the growers were allowed to age and ship their own wines direct from their estates or Quintas in the Upper Douro. This means that more and more Port is now made by the growers on their own estates, which can only add to the romance of the product. 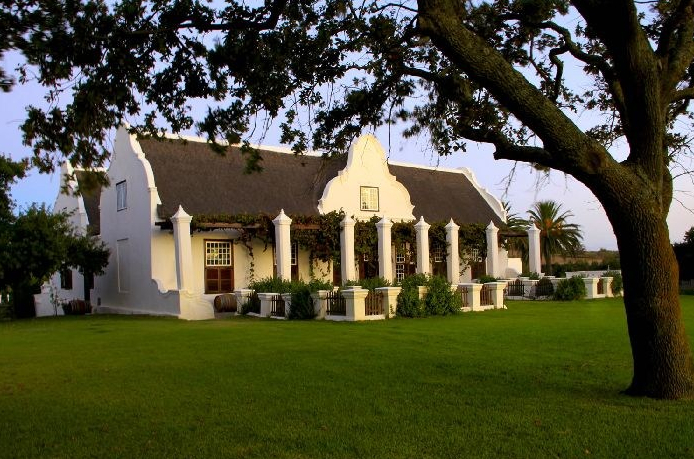 It is also in keeping with the rest of the wine world, where it is very common to find estates that have been growing grapes for decades, or longer, who in recent years have stopped selling their grapes to the big local producer, or cooperative and instead have started making the wines for themselves. This is exactly what happened with the Quinta do Infantado, which is a delightful family run Port estate near the lovely village of Pinhão in the heart of the Douro. 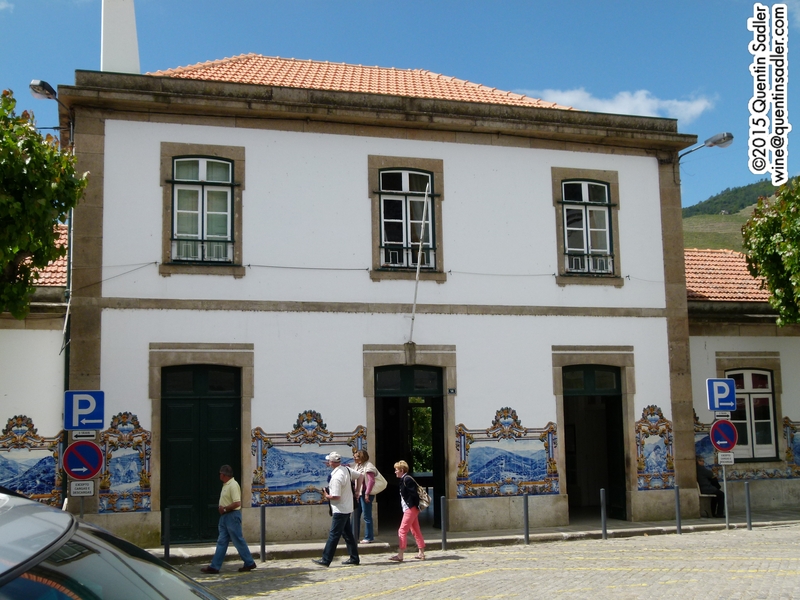 The Roseira family have been in charge here for well over a century, but the Quinta actually dates back to 1816, when it was founded by the Portuguese Crown Prince, or Infante – hence Infantado. Of course, like all the other growers, the Roseiras, and the Infante before them, sold their grapes to the big names shippers until 1986 – which is presumably explains why the Port houses were called ‘shippers’ rather than producers, which was something I always found odd. 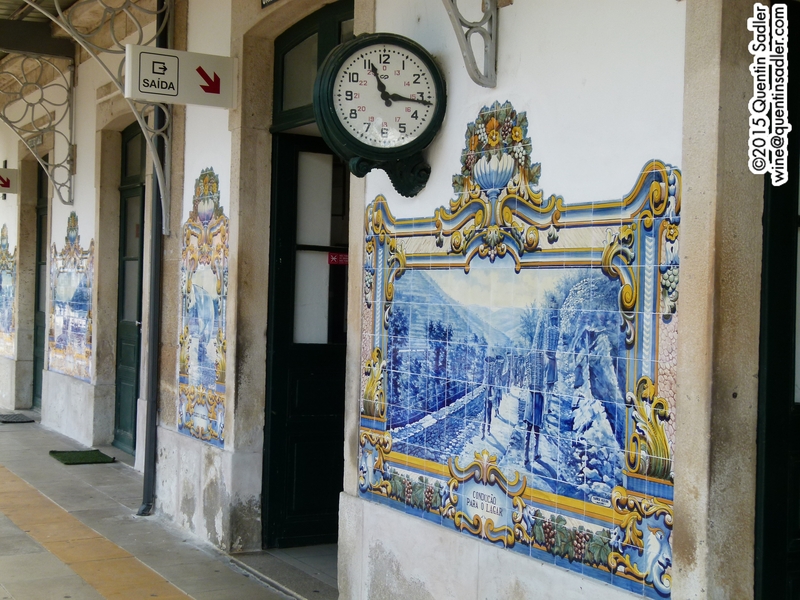 The beautiful tiled railway station in Pinhão. 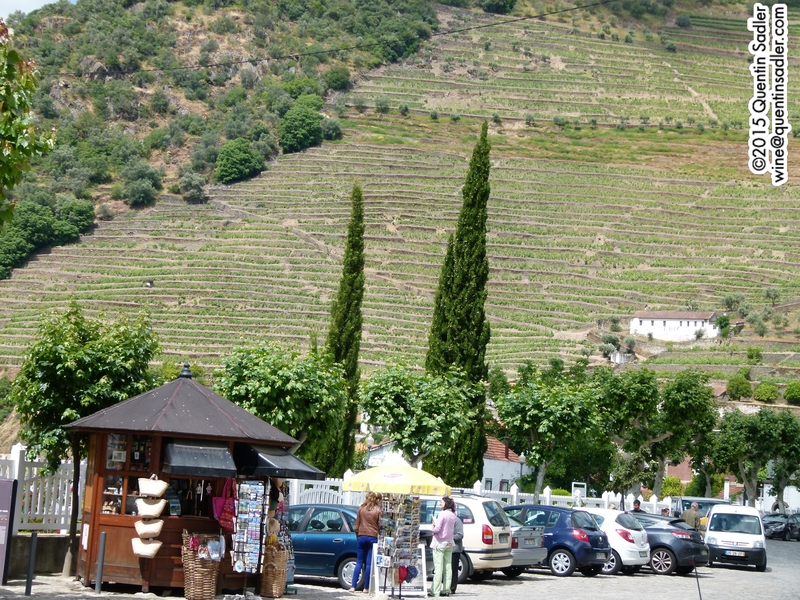 The Douro is a very beautiful, rugged, wild place with a very hot climate in the growing season. The land slopes dramatically down to the Douro River and so much of the landscape is terraced to allow for efficient agriculture and to stop soil erosion. 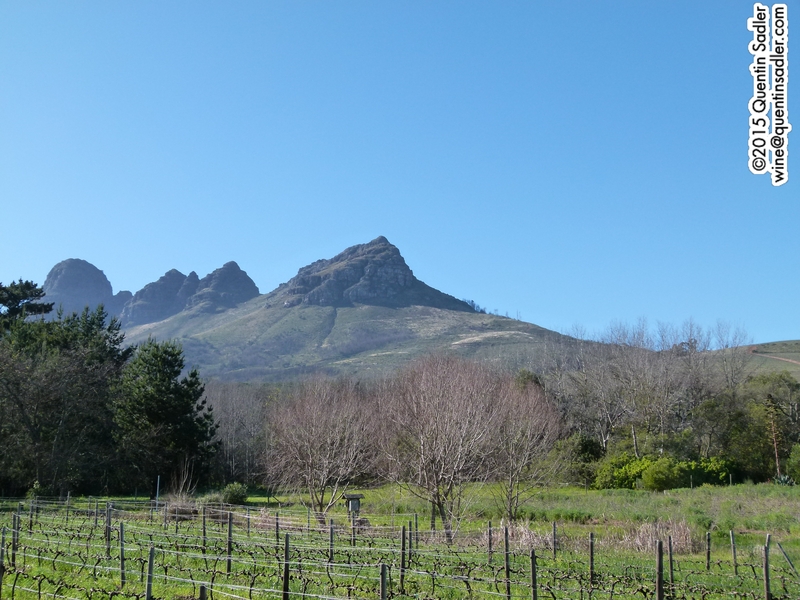 The soil is schist, which is decayed slate, so everything makes this a hard landscape to work and ensures that pretty much everything still has to be done by hand – and sometimes by foot – just as it always has. Rather wonderfully at Quinta do Infantado they do still tread the grapes in the traditional manner – this gives a rapid extraction of colour in the shallow, stone fermentation tanks called a lagares. Vineyards are everywhere you look in Pinhão. 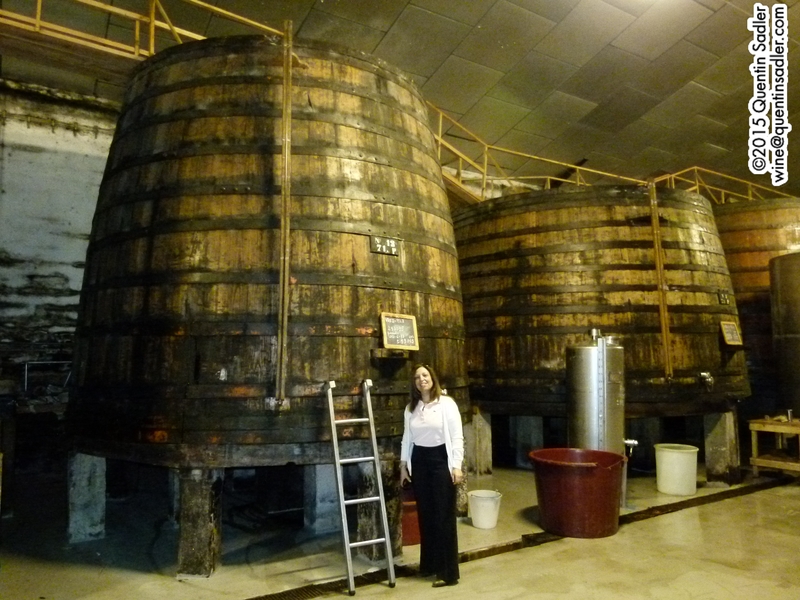 Large wooden vats for ageing Port. These are at Quinta do Noval, which is near Quinta do Infantado. The blend is 30% Touriga Franca, 30% Touriga Nacional, 30% Tinta Roriz (Tempranillo) with 10% of other local grapes. The grapes are trodden and the finished Port is aged for around 4 years in large (25,000) wooden vats that are over 100 years old and so give no wood flavour to the wine, but do soften the tannins. The finished wine is not filtered or fined before bottling. An LBV, or Late Bottled Vintage, is technically a Reserve Ruby Port from a single vintage. The colour is an enticing intense, vibrant, deep ruby. The nose is lifted, scented and lively with rich black fruit notes of blackberry and black cherry, warming spice, liquorice, aniseed, clove, smoke and cedar. There is a floral prettiness there too, even a twist of orange peel. The palate is sumptuous and fresh tasting with delicious sweet black fruit and lots of red fruit too – rich red plum and cherry, gentle sweet spice, some dry spice and a little smoky, fine grain tannin on the finish. This was also a pretty dry style of Port, not dry exactly, but drier than most. This is joyous, vibrant and beautifully balanced with excellent integration between the fruit and the alcohol, indeed for a Port it carries its 19.5% alcohol very well indeed. If more affordable Port tasted this fresh and juicy, I would drink more of it – 91/100. I greatly enjoyed this with some Manchego and Gorgonzola cheese, but it also goes superbly with chocolate. Available in the UK for around £15 a bottle from The Wine Reserve, Slurp, Eclectic Tastes, The Drink Shop, Little Big Wine, Exel Wines and the Fine Wine Company. Further stockist information is available from the UK distributor, Liberty Wines. The US distributor is Louis/Dressner Selections / LDM WINES INC and more stockist information is available here. Do try this if you get the chance, it is utterly delicious without being overly heavy or spirity either, Quinta do Infantado also produce a wide range of other Ports and table wines too. If I get the chance to taste them I will report back on what those are like too.